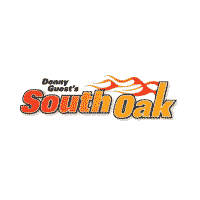 Why buy from South Oak Jeep Dodge Chrysler Ram? Delivered over 2,000 vehicles last year to friends, neighbors, and companies! Expansive Inventory – Over 500 New and Used vehicles to choose from at our State of the Art $2.0 million dollar facility in Matteson, IL. Lifetime Powertrain Warranty on all Certified Used Vehicles! Extremely competitive financing available for every customer including those with credit challenges. Great Reputation – Member in good standing with the Better Business Bureau. Our Service Rewards Program rewards you with free and reduced services! Expert and efficient internet department ready to serve you and make your next vehicle purchase Hassle Free and FUN!